A "sprained ankle" is one of the most common injuries a sports medicine physician encounters. It is also one of the most poorly understood by lay persons and health care providers (including physicians), and is often under treated. A severe ankle sprain, although treated properly, can still result in chronic instability of the ankle. 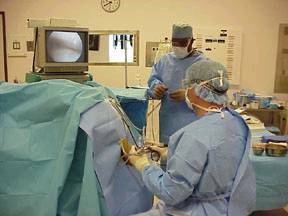 Fortunately, most are not severe and with quick and proper treatment these injuries heal well. Three essential ligaments cross the lateral (outside) surface of the ankle joint and are the most commonly injured with ankle sprains. Much more uncommonly, however, on the medial (inside) surface of the ankle joint, the deltoid ligament is injured. The injury is usually the result of the ankle turning in, commonly referred to as "going over the ankle." In squash, this can occur with sudden pivoting or cutting movements. More often the ATFL and CFL are involved. First Degree: Most common and often neglected. The ligaments are stretched, not torn. There may be minimal to mild swelling and no instability. This patient usually treats him/herself and simply puts up with a sore ankle for a week or so. Second Degree: Ankle ligaments are partially torn and bleeding into the surrounding soft tissue occurs resulting in ecchymosed (bruising and discoloration). Swelling and pain may be very minimal initially and gradually worsen over the next few days peaking within a week. This degree of tear requires varying degrees of immobilization and usually 3-6 weeks before the person van resume activities. Third Degree: Most severe and ominous. Represents complete disruption of at least the ATFL and CFL and sometimes the PTFL. The ankle is unstable. X-rays are normal. Healing requires 8 to 10 weeks. In the more mild forms of sprains the best treatment is known as R.I.C.E. This is an acronym which stands for Rest, Ice, Compression, and Elevation. The rest is quite self-explanatory and consists of non-weight bearing with crutches. The ice should be applied as ice packs, and these should be applied for the first 72 hours as much as can be conveniently performed in order to keep the swelling down. Compression consists of a tensor bandage which will help to limit the swelling, although occasionally a cast is required. Elevation must be performed to help keep the swelling down. This period of compression and elevation can often take up to 2-3 weeks if the sprain is bad enough. As the pain subsides an exercise program with physiotherapy can be started to increase the strength of the ankle and foot muscles. The advice of physiotherapists or similar knowledgeable individuals should be sought for proper teaching of these exercises. Although somewhat controversial it is rare to operate on even severely sprained ankle injuries. In the U.S.A., immobilization involving bracing and non-weight bearing with crutches is usually employed. Depending upon the situation, the surgical repair for instability, whether acute or chronic, is a viable alternative and can be very gratifying. Use proper footwear. Your shoe should have good lateral support, a relatively low heel (different from jogging shoes which have a built up heel and poor lateral stability) and rounded contours to avoid "going over." Shoes with a higher boot top ("high cuts") may be indicated for those with chronic instability. Lace-up ankle supports may be very helpful. Avoid uneven surfaces which might include anything from your opponents foot to poor court flooring to uneven training ground. If you get repeated ankle spraining easily, you may need to have your ligaments reconstructed. This will re-stabilize your ankle and allow you to return to sport without constantly worrying about re-spraining your ankle. It is a very satisfying procedure, but like all surgeries, does carry some elements of risk to it. Discuss these risks/advantages with your doctor.